Tornadoes are just like any other natural disaster. You just never know when they’re going to attack but there are a few regions of the country that are a lot more vulnerable to tornado activity than others. 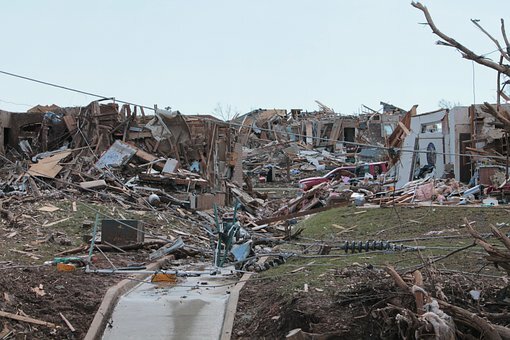 Tornadoes can form anywhere in america, but”tornado alley” that is that part of the central United States starting in western Texas extending up through Oklahoma into Kansas and”Dixie alley” in the northeast are just two areas which are particularly prone to tornadoes. Here is a safety emergency checklist that you may find useful. It can be helpful in your disaster planning and your emergency preparedness, a critical part of which is doing only this-having a strategy and discussing it with your loved ones. 1. Before a storm strikes, make sure to have a place to go either in your home or nearby you could go to if a tornado warning is issued. We always recommend in any kind of situation where natural disasters such as wildfires, tornadoes, hurricanes or floods happen that you have a”go kit” that’s flashlights, food and water supplies for at least three days, a first aid kit, copies of important financial documents and an emergency supply of medication and possibly even a change of clothes. 3. Be sure you avoid doors or windows with glass. If you’re indoors, get in the basement if you have one or into a centre hall or windowless room. Some people maintain a tub is the sturdiest place that you can be. Put as many walls as you can between you and the oncoming storm. 4. If you are outdoors, lie flat in the lowest spot which you can find-even a little gully will do. Cover your head with your arms and keep yourself as low as possible to present a small target. 5. Like any other natural disaster, it is up to you to be the provider of emergency services for your loved ones. Emergency responders are busy doing other than their regular work and cannot provide support. Natural disasters can happen at anytime and anyplace. When they happen is not the time to be thinking about disaster planning and emergency preparedness. Do it now!